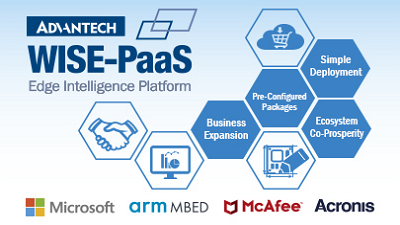 Advantech is partnering with Microsoft ® Azure as the IaaS and also PaaS solution provider through the Microsoft CSP (Cloud Solution Provider) Program in order to offer diverse functions for IoT applications. Through the CSP program, Advantech provides total solutions, from devices to cloud services. Advantech and Microsoft Azure help customers build new-generation products and services for the IoT era. Microsoft Azure is a growing collection of integrated cloud services that allows you to quickly deploy infrastructures and services to meet all of your business needs. Azure’s pay-as-you-go services can quickly scale up or down to match demand, so you only pay for what you use. The predictive analytics services, including Machine Learning, Cortana Analytics and Stream Analytics, are redefining business intelligence. Make smarter decisions, improve customer service, and uncover new business possibilities from your structured, unstructured, and streaming IoT data.